Durable medical equipment (DME) is a term used to describe devices that are medically necessary to improve the health and quality of life for patients while at home. Patients with certain sleeping disorders often benefit from DME devices that facilitate healthy breathing patterns during sleep. that the throat muscles relax during sleep, which can collapse the airway? A DME device known as CPAP creates a constant pressure in the airway, allowing breathing passages to stay open during sleep. 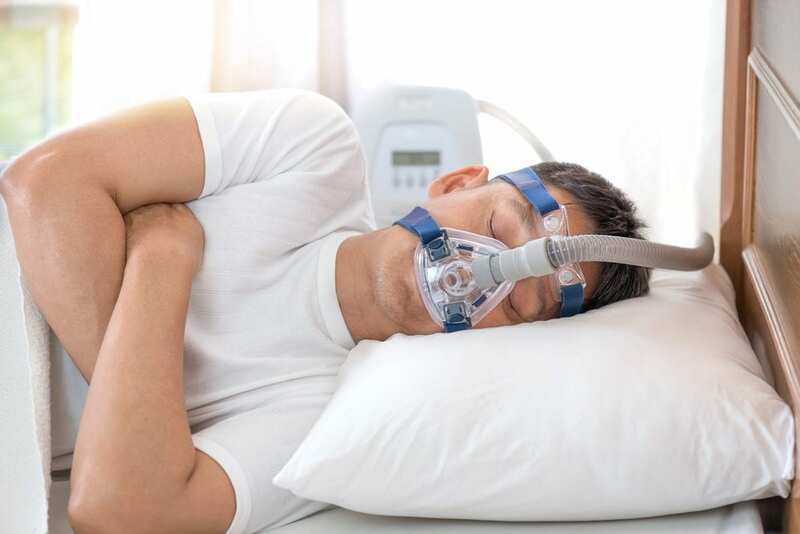 According to a 2005 study in the Lancet, patients who used CPAP to manage sleep apnea experienced improved sleep and cardiovascular mortality rates similar to those of healthy people without sleep apnea. Could I benefit from DME in my home? You may benefit from DME if you have difficulty maintaining healthy breathing patterns during sleep. Symptoms include chronic snoring and ‘gasping’ for air during the night – both potential indicators of sleep apnea. How will my doctor determine if DME is right for me? You will attend a consultation to evaluate your sleep habits and routine. Based on your symptoms and possibly a sleep study, your doctor can make a definitive diagnosis of your condition. If you are diagnosed with a sleeping disorder such as sleep apnea, a DME device may be right for you. What types of durable medical equipment for sleep are available? There are many types of sleep-related DME devices. The most commonly prescribed are the continuous positive airway pressure device or CPAP. Other types of DME include bilevel positive pressure devices (BIPAP), respiratory assist devices (RAD), home invasive mechanical ventilators, oxygen, and portable oximeters.